combining elements of electronic/house and rock music with hints of chiptune and orchestration. while sticking to the traditional sample-driven/plunderphonic style of previous superspink releases. most tracks are under 3 minutes in length, for those with short attention spans. all music on this album is free to download. 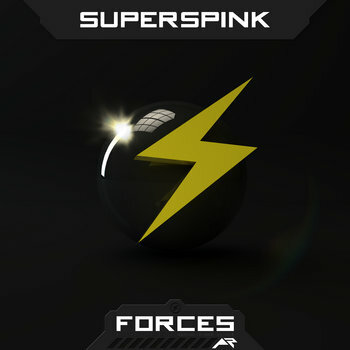 Forces is available on the superspink bandcamp page in different formats including FLAC. pay any price of your choice, if you wish to help feed the machine.